What If Your Bulletin Board Could Speak? QR Codes in the Classroom…. Language Sensei is on summer break until I return to school September 3rd. Just as I spend time rethinking my teaching and learning anew, Language Sensei will be revisiting past posts concentrating on professional change and ‘easy to implement tech’. We are, as teachers, always looking for a unique way to either engage a student, or facilitate their learning. Linking to a piece of text, a website or even an audio clip, one of my most useful tools is becoming the Quick Response (QR) code. Easily scanned by any smart phone, iPod Touch or tablet with a free reading app, these codes provide a new ‘tool’ in getting information to students but also empowering them to seek information themselves. What if your bulletin boards could speak? Imagine a group of students armed with a device in a vocabulary lesson treasure hunt. Pictures for words or phrases with a code below that provides audio information. No dictionary, just learning by experiencing. You can even practice verb conjugations – with a picture of people doing a particular action and a code that correct verb form – in short audio clip or as a text-based message. What if you could put video or an actual website on your worksheet? Sometimes a picture is worth a thousand words – or at least not visiting the dictionary. I typically hand out my unit book on the day of the previous unit’s exam. For my Japanese 12 class a unit on travel includes the code for the National Tour Organization right on the schedule – students had already visited the site, and were primed for the work prior to my even beginning the section. What if your student’s work could be seen and heard? Are your students encouraged to introducing themselves in the target language? Magnify the impact by placing a code below a student’s picture to allow classmates learn more about each other. By experimenting with longer audio clips students could narrate a story about their daily routine. Another possibility is to use the code only – as a ‘mystery student of the week’ – students listening or hearing about someone and guessing who it is. What if you found a way to help kids access more information on a topic? Learning new verbs in class and need a quick review – then scan the code to be taken to a video (selected by you the teacher) that reviews the content. One student finally accessed assistance because “I didn’t need to type in that long url”. In my class each unit handout includes codes that take students directly to ome of my YouTube video reviews and the Quizlet vocabulary cards. I know that all students do not have access to this technology. For my classes any ‘QR’ use is done in groups and the key is not reading the code – but what happens with the information it provides. All codes are accompanied by a corresponding ‘shortened’ link for the same information – easily accessed on one of our school library computers. How might you use them in your class? Want to know more? Visit the link here for my ‘how-to’ presentation for codes/shortened links. 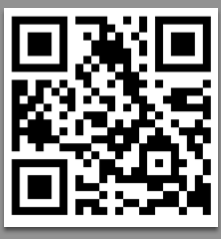 Our company, Tokkers, offers audio QR Codes. We are currently in private beta, but your readers can join the free beta at http://tokkers.com/beta – use invite code “sensei”. We would love your feedback on how you’re using Tokkers in the classroom!